Internet Marketing is no more as it was a couple of years ago. The overall online community has been tremendously affected by Google. And previously anyone could have accomplished a superior ranking in it by simply including important keywords in substance and having a hundred and thousands of inbound and outbound links. However, now the situation has changed totally due to Google Core Tech Practices some of which are further described below. Google came-in with two major updates before a few years back named as Panda and Penguin, Google made it clear that only unique, high quality, useful and informative content along with ethical SEO strategy could bring a better website ranking. Google introduced the algorithm for the first time on February 23, 2011- and many websites get penalized because of that update. Google mainly targeted those websites who had thin content and high bounce rates. Again, Google came with another new update on April 24, 2012 named as a penguin, this update have been introduced to weed out websites which have practiced unethical way of SEO by violating Google’s Webmaster Guidelines, with the aim to get better ranking in Google search engine result page. Understand, What Google Wants to see on Your Website? With the introduction of these updates, many webmasters get confused to understand that what Google actually wants? For all those webmasters, SEO specialist and Digital Marketer who have still not figured this question, here is the answer for them- Google ultimately wants to give its user qualitative, valuable, informative, and useful content through these updates. As a search engine Google wants them to deliver the most relevant and informative results that they in search for. 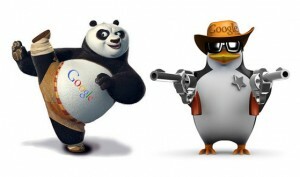 What is Google’s Panda Algorithm is All About? 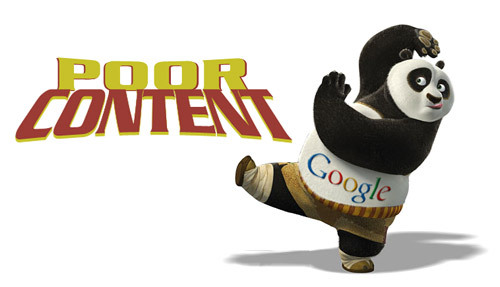 First understand, what Panda algorithm is all about, this is especially about content. There is nothing to do with Structure data, mobile friendliness, links or anything else except content. Due to panda algorithm all those sites get penalized whose content seems spams and it has rewarded to all those by promoting their ranking who has great-quality content. Let’s discuss what did really change after the panda algorithm? Just take all this website into account who were penalized by the update. Content farms are affected the most because of panda algorithm. The content farm is those websites which accept all kinds of articles irrespective of their niche, giving the privilege to the submitter to include many links targeting his own website through that article. Most of the time the quality of those articles was very low, providing almost no information to the reader. In the perspective of their low quality panda needed to cut down the ranking of those sites on Search engine result page. The next list of websites who get penalized because of panda algorithm are the website promoting spam advertisement. These are the website who does not post any valuable content over their website, created only to get filled with ads from different sources. By and large said, if the site has a greater number of advertisement on the page than useful content is not going to get better ranking in Search engine. By now you should have an idea what some SEO Specialist or Digital Marketer like you and I needed to change their SEO strategy to provide safety from the Panda Update. Never ever create content only to get a backlink as they won’t help you to get better ranking in Google or any other search engine.It is always smart to get a link from a better ranking websites in your niche, by providing an informative, useful and interesting content. If you are promoting advertisement on your website then make sure that content/ads ratio is correctly established.